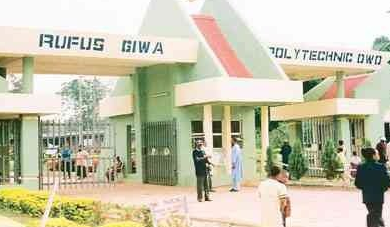 Lecturers at Rufus Giwa Polytechnic Owo in Ondo State have commenced a strike over the refusal of the school management to pay their arrears. The lecturers, under the aegis of the Academic Staff Union of Polytechnics (ASUP), are demanding the payment of arrears accruing over N1.7 billion. The polytechnic lecturers in the school said they are owed ten months of arrears and that promises made by the authorities to resolve the matter have not been fulfilled. They are also demanding the payment of sixteen months’ worth of Consolidated Polytechnic Salary Structure (CONPOCASS) allowance. The source said the union leaders have also accused the management of the institution of being insensitive to the plight of the lecturers and staff members of the school.